Planet Earth is a wonderful place. Not only is it beautiful but it is also where we can witness the co-existence of so many different forms of life. Every once in a while, we come across a few examples where men and women put themselves in danger just to help the animals we share this planet with. This is one of those stories. Michael Fishbach, who is the co-founder of The Great Whale conservatory, was out for a sail with his team and family on a perfectly sunny afternoon. 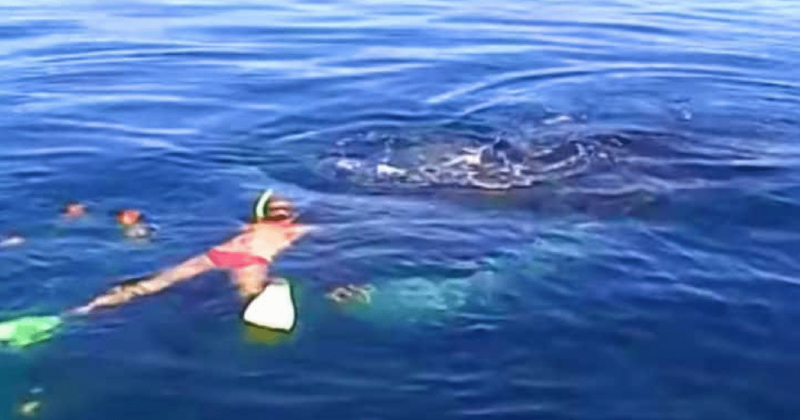 While they were out there to enjoy the waters, they came across something they couldn’t ignore. Michael and his team came across a giant humpback whale. But instead of being excited to see this great animal, they were all saddened. 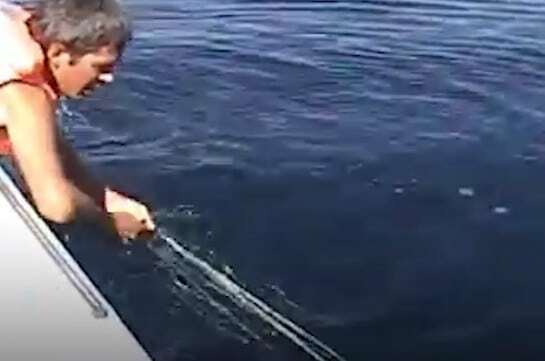 The whale had managed to get entangled in the nets of the local fishermen and was hardly moving. At first, they presumed it was already dead. 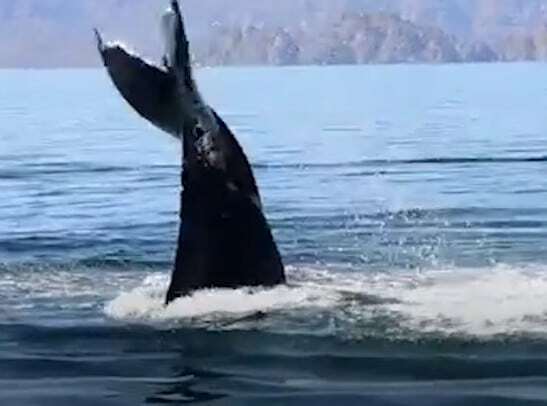 However, to their great surprise and joy, the whale rolled slightly and let out a huge breath from its blowhole. Michael and his team were overjoyed at this but they knew that the danger was far from over. The whale was still stuck and was unable to swim due to its tail and fins being trapped in the nets. As any animal rescuer will tell you, there is always a danger in approaching a cornered animal who is in pain. They might perceive you as a further threat and given the fact that the whale was trapped in human made nets, it was a very real possibility for Michael. 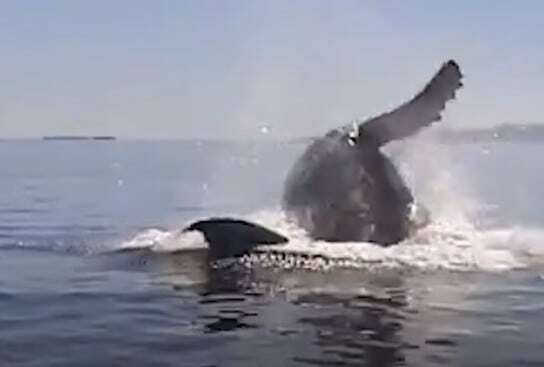 To make matters worse, time was also of the essence as the whale was floating 15 feet below the surface of the water and was not able to breathe. The task at hand was twofold. The team had to work quickly using the only knife they had to cut through the nets. The other task was to keep the whale calm so that it would allow them to approach it. Knowing that they had their tasks cut out, they started cutting the net from around the humpback in earnest. They were able to cut through the nets pretty quickly and soon the whale was able to move. But in its eagerness to get moving again, the whale pulled the entire team along with it for over half a mile before they were able to free it entirely! 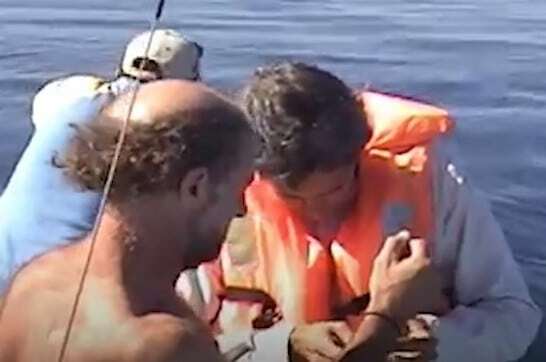 By the time the entire rescue operation was over, Michael and his team had developed a special bond with the whale. They even named it Valentina and she knew that they did not mean her any harm and wanted to help. 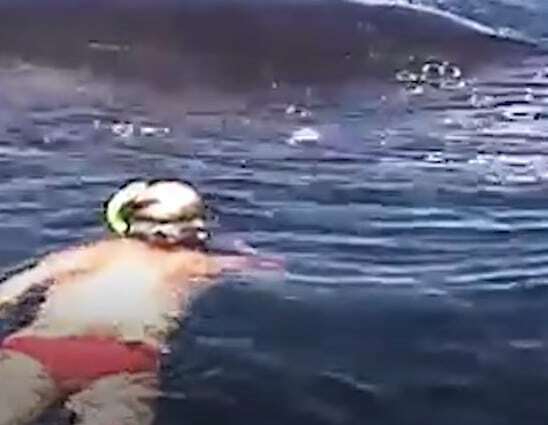 She swam away soon after, but not before letting her rescuers know how much she appreciated their help. Before she swam away for good, Valentina performed as series of maneuvers to show her appreciation and she spent almost an hour playing with Michael and his team. It was definitely worth a watch because of the kind of bond that developed between them in such a short span of time and it is this same bond that makes our planet such a wonderful place. In case you are wishing that you were there to see this amazing spectacle, here is the video!